With a fleet of four boats (28’ Ojaran II, 32’ Ojaran III, 33’ Magic Moon and 33’ Reel Deal) Luna Tours are able to offer inshore and offshore fishing throughout the year. The first-class Costa Rica sportfishing in this area includes the chance of hooking up to sailfish, marlin, roosterfish, tuna, dorado, snapper, wahoo, snook and jacks. 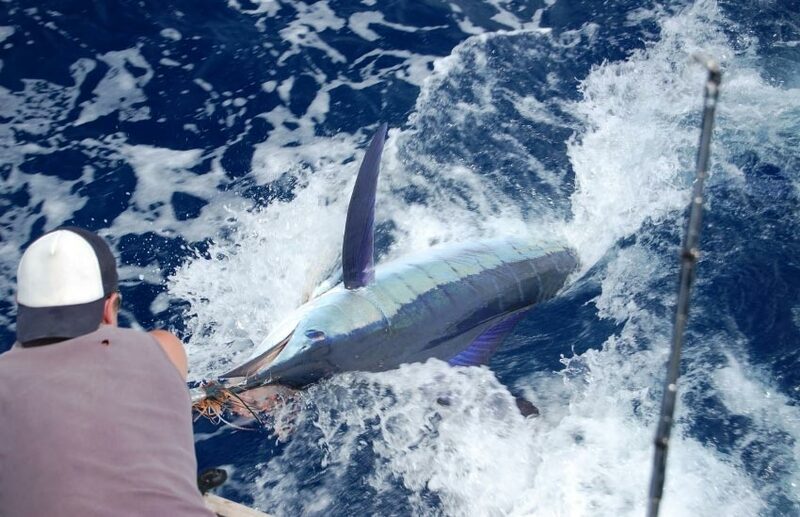 Prime-time for billfish is December through April, when it’s not uncommon to release half dozen sails in a day. Prime-time for the other local favourite, roosterfish, is June through early September. All boats are manned by professional, bilingual captains and mates, with more than 15 years of experience in catch and release sportfishing. They’re all skilled in the art of conventional fishing and specialize in offshore fly and light-tackle big-game fishing. Have you fished with Luna Tours – Quepos, Costa Rica? Submit your review below and tell us all about it.